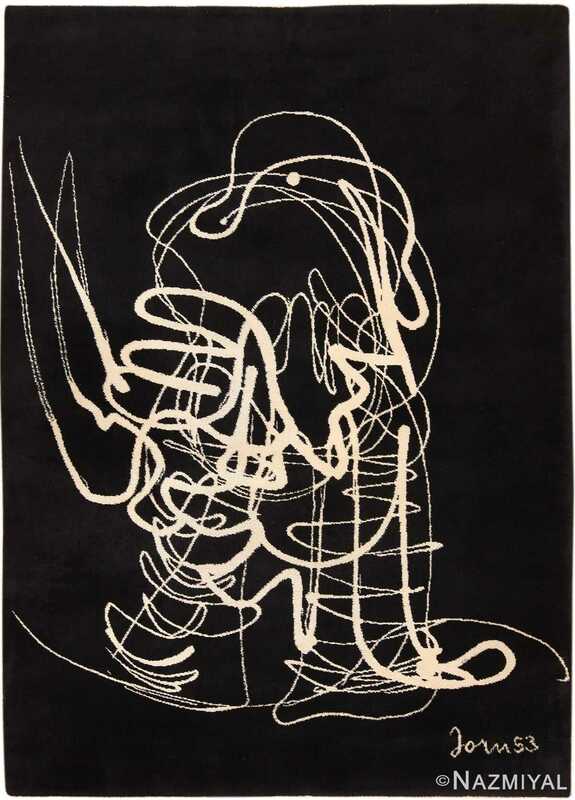 A beautifully artistic vintage Swedish Robert Jacobsen Ege rug, Country of Origin / Rug Type: Vintage Ege Rug, Circa Date: Mid – 20th Century – This brilliant, abstract vintage rug by artist Robert Jacobsen was designed for Axminster Ege. The company began its life as a world-renowned maker of fine art carpets in 1938. Today, it remains a brand that is known for excellence in design and quality craftsmanship. 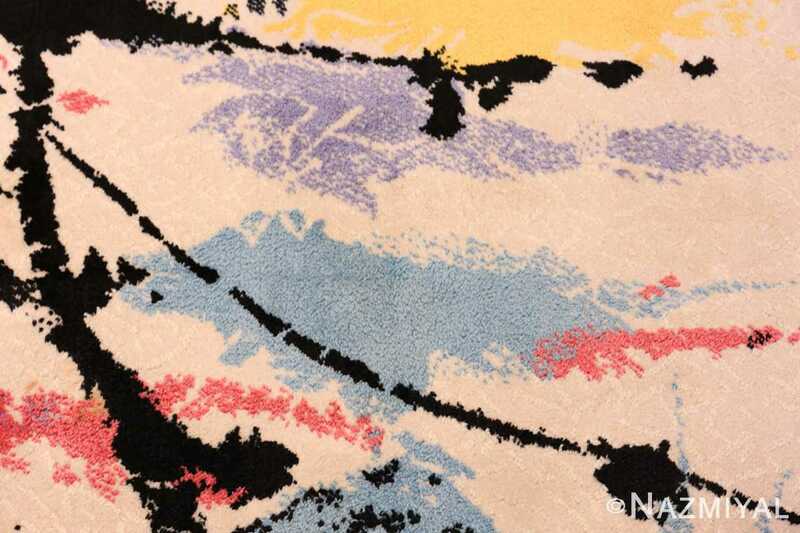 This Robert Jacobsen abstract transforms the world of painting into the medium of rug weaving. 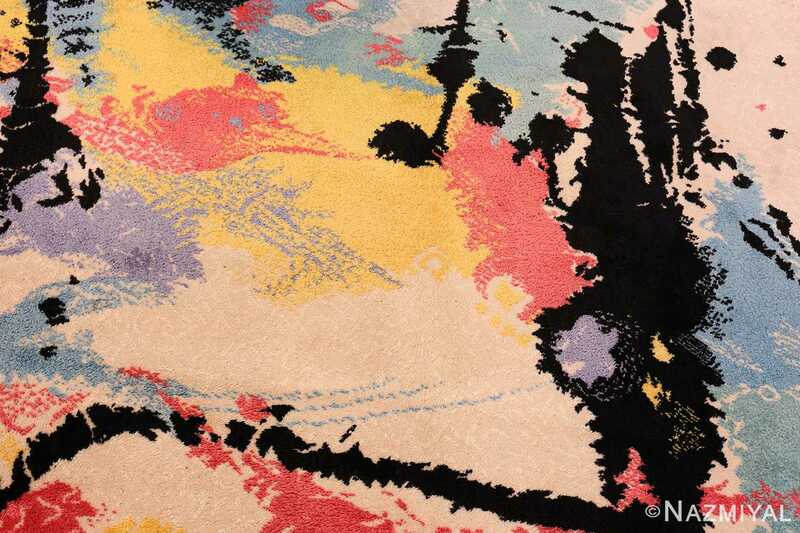 The colors of the vintage Ege rug are bright and reminiscent of the colors of spring. 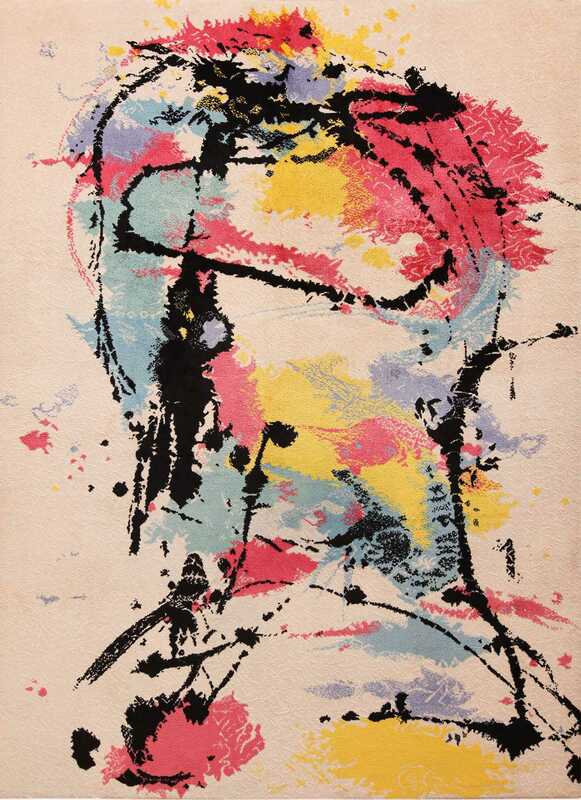 The contrasting blues, lavender and sunshine yellow are splashed upon a white canvas. Heavy black splashes are drizzled throughout to create a point of contrast that highlights the form of the design. 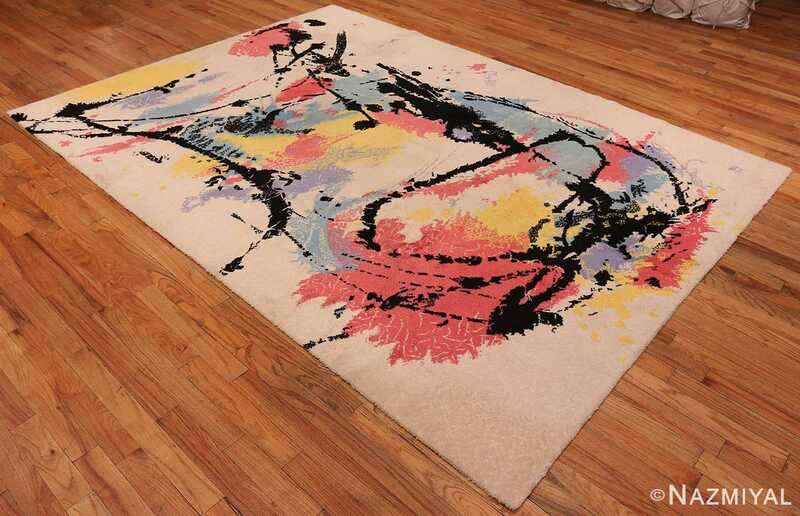 This charming modern art rug is the perfect addition to any contemporary design. 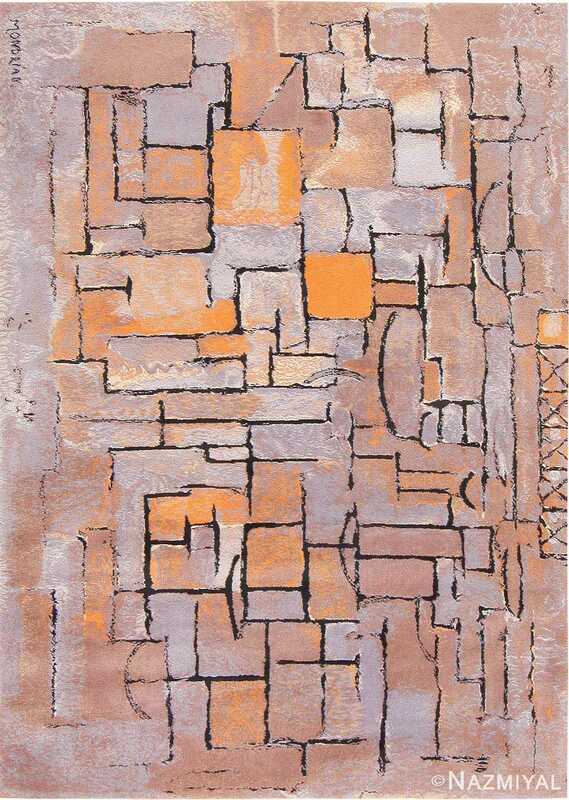 the artistic vintage Axminster Ege rugs were designed for the urban environment to complement a world of concrete, brick, steel, and glass. 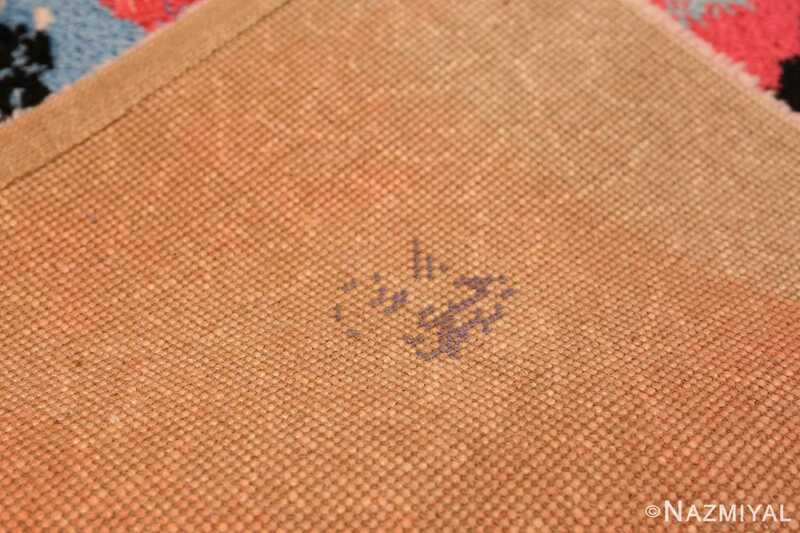 They are perfect for industrial designs, modern Scandinavian, minimalist, and other urban settings. The round shapes and random paint splashes add contrast to angular lines and flat planes, helping to visually break up the space. This is a fun vintage Swedish rug, that was crafted after the iconic art work of artist Robert Jacobsen. 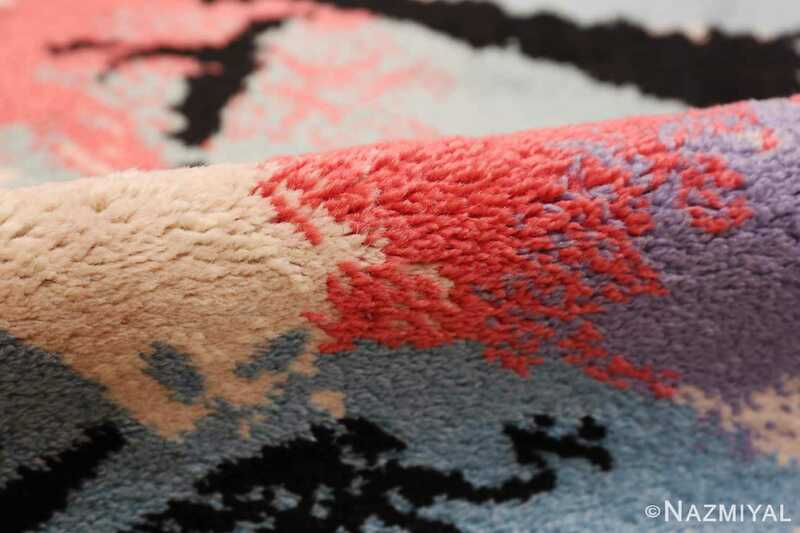 It is the type of artistic carpet that will surly add interest to the room and will be certain to be a conversation starter. It is a breathtaking example of mid century modern design and art work that translates well into most modern home decor setting. 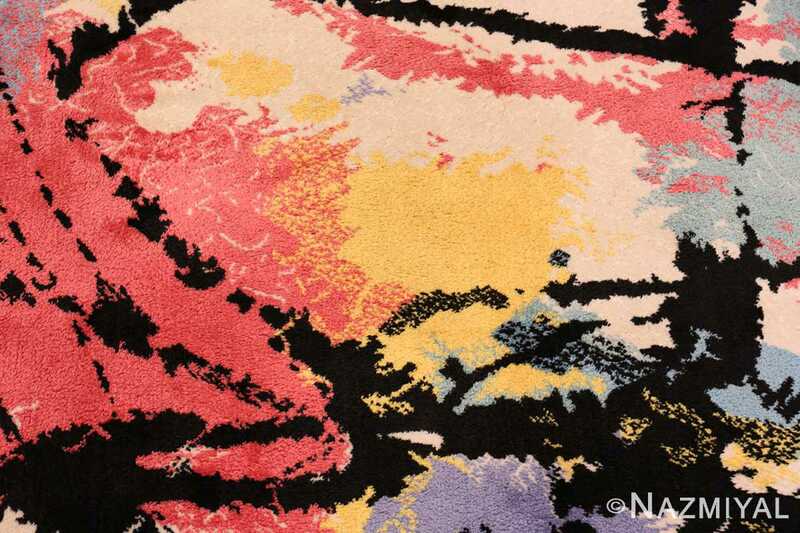 This is a beautiful work of art by a master artist and produced by one of the world’s most famous carpet makers. Once in the home, this breathtaking piece will instantly become a cherished heirloom. One that will undoubtedly bring many years of appreciation and admiration. 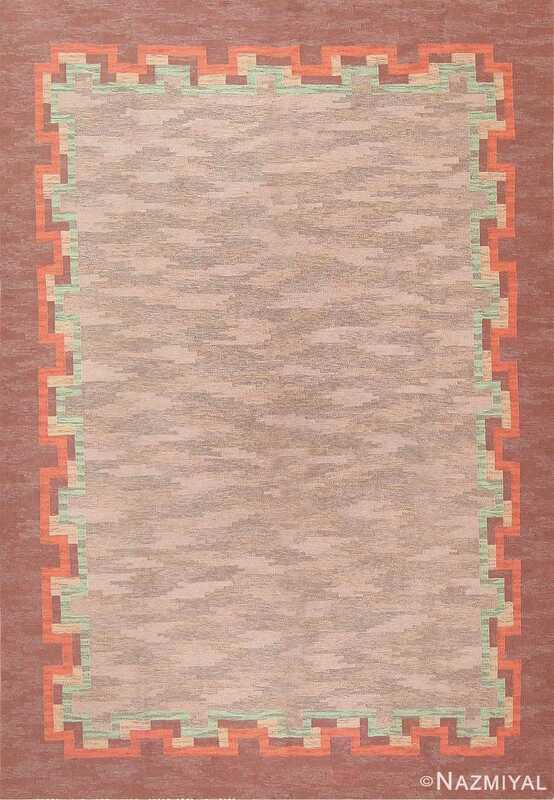 This vintage Scandinavian rug, with its rectilinear borders and sparse field, beautifully embodies mid-century design trends. 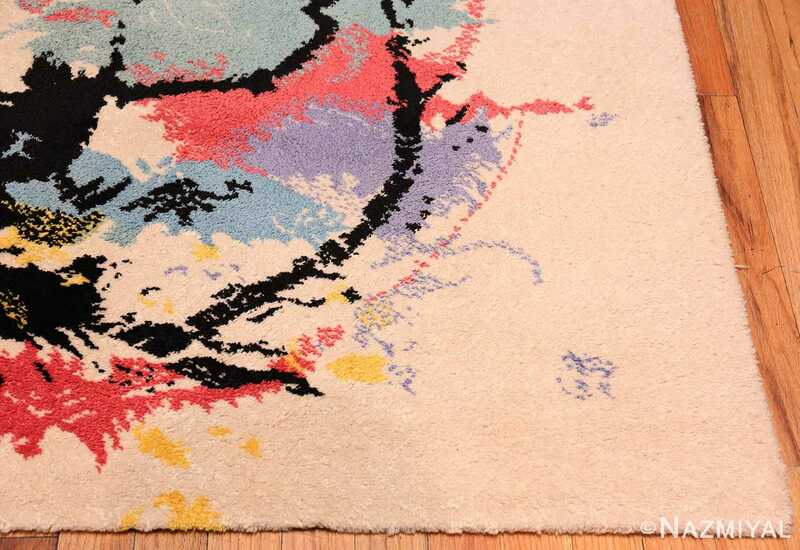 This unique and charming vintage rug bears the distinctive aesthetic trademark of the great modern painter Piet Mondrian.